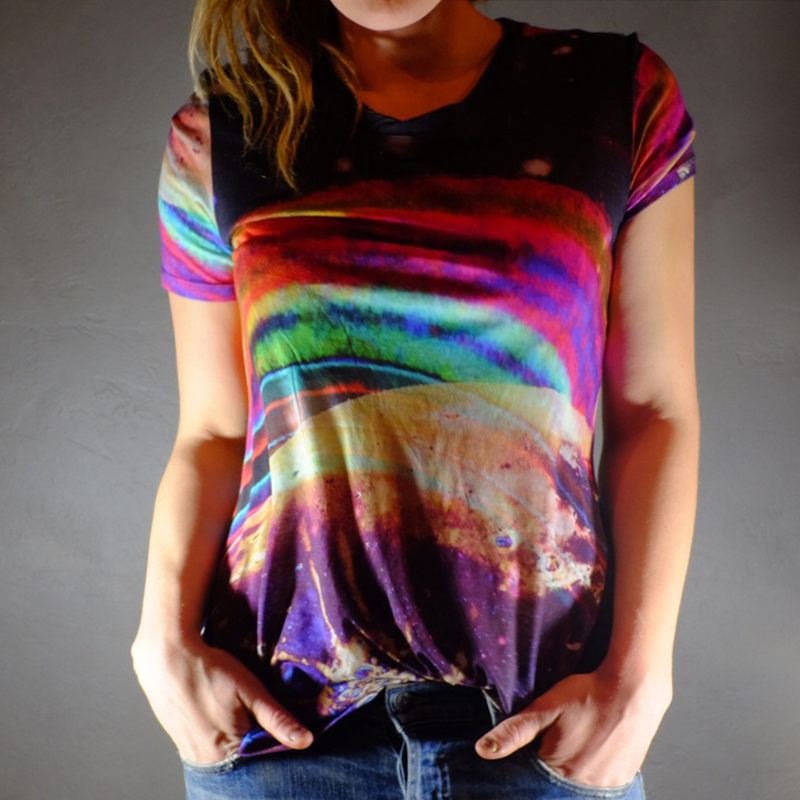 A colorful alternative to the classic tie-dye, this graphic print was designed from images Potter captured of the Blood Moon and the Rings of Saturn; hyper-saturated and overlayed to create a vibrant, three-dimensional effect. Click "Details" below for sizing information. Available in size 1 or 2, each shirt is tailored for a slim fit & drape with a simple, modern silhouette. 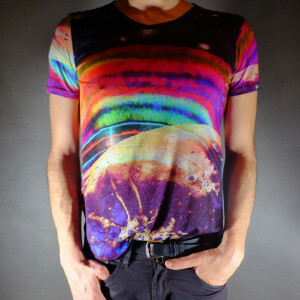 The shirt will contour to the body, achieving a unique look for each person who wears it. These are all one-of a kind so the placement of each print may vary.